Did you know that it was possible to make a living from blogging? No joke -there are tons of real people out in the real world that make thousands of dollars of passive income each month from their website. It’s not a gimmick or an MLM-type scheme either. I’m in a few pretty sweet Facebook groups with real people that make serious cash from their blog. Once you know what to do, it really isn’t that hard (psssst…. find out how easy it is to start your own blog today). While I’m not exactly where I’d like to be in my blogging journey yet, I had a pretty amazing month last month. I finally broke the $2,000 mark, and it’s a little awe-inspiring, to say the least. Oh, and that’s without a lot of affiliates sales, either. With all that being said, I would like to share some stats and numbers from my blog last month. I really think they can help you with your own blogging journey! *This post contains affiliate links meaning that if you make a purchase using them, I earn a small commission, which helps support this blog at no additional cost to you. Keep in mind that I only link to quality products that I use myself and feel would be beneficial for my readers. Read my full affiliate disclosure for more information. First off, as cliche as it sounds, I believe in transparency (in all things in life), and I have no shame in talking about my income. Next, I believe that the information in this post can be extremely beneficial to my readers. I always find it inspiring to see what other bloggers make, what they’re doing, and all the other nitty-gritty details of running a blog. Plus, I feel like it gets me pumped to think about the amount of money it’s possible to make. I want to inspire others the way that I get inspired by reading income reports. Last, but not least, I feel like it adds credibility to my content. Even though this blog is considered to be a “life hacks for boss babes” type thing, there is a heavy emphasis on blogging and marketing. When my readers see the details in my strategy, it positions me as an expert in the subjects I write about. I want to start by pointing out that I have two different blogs that are in completely different stages of their journey. HolleewoodHair is a bit more seasoned and brought me 98.93% of my income last month. 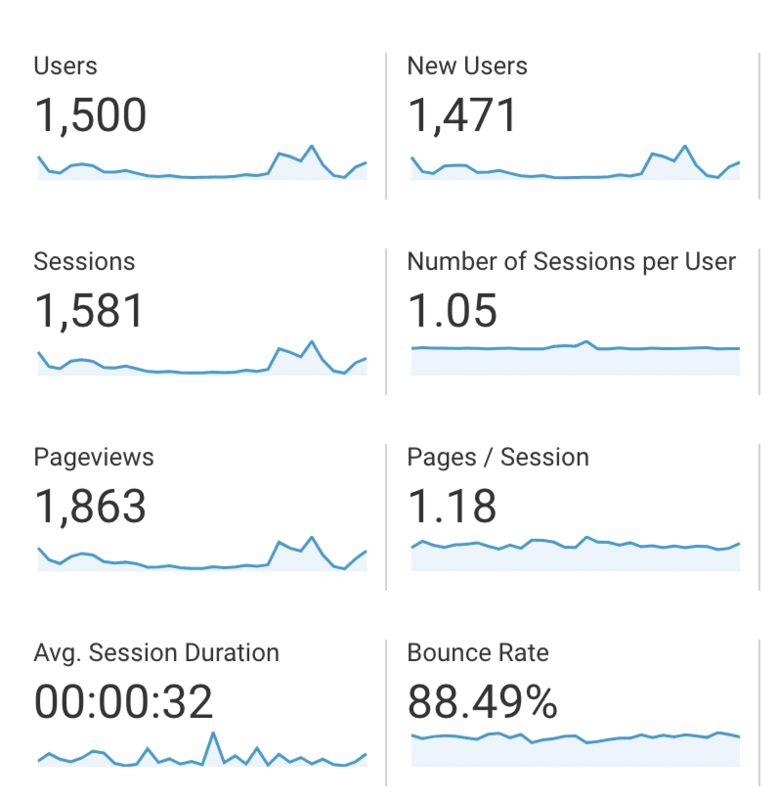 Last month was the best month I’ve ever had in terms of traffic. 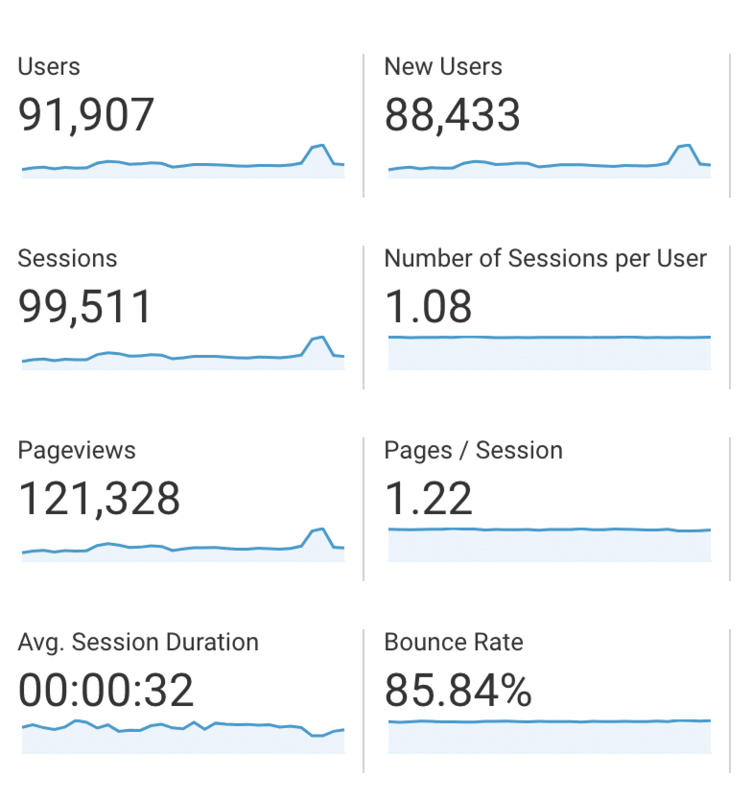 I had 92,000 unique visitors and 100,000 sessions. I tend to have a high bounce rate and lower session duration due to most traffic coming from Pinterest. My other blog, TheBestDayEver (the one you’re reading this on), is a bit newer and gets much less traffic. This is pretty normal as it’s still working on building momentum. Most of my articles average a few views per day, but the article, “15 Types of Toxic People (To Avoid Like The Plague)” usually gets a decent surge of traffic whenever I make a new pin for it. Since it does so well, I need to create similar posts, which should drive up my overall traffic. For both blogs, I put a lot of focus on Pinterest and Google traffic. I feel like Pinterest is the easiest way to get traffic when you have a strategy in place. In fact, it’s the #1 referrer for both of my blogs. I have a pretty solid Pinterest strategy in place and it’s been incredibly good to me. The absolute easiest way to learn how to master Pinterest is to check out this really affordable e-course by EllDuclos, founder of the Facebook mega group, Boss Girl Bloggers. In her course, she teaches the exact strategy I use to get thousands of Pinterest views each month. Since Pinterest takes a while to start driving significant traffic and demands consistency, I’m very dependant on Tailwind for both blogs. On the other hand, search engines have the highest-quality traffic, and since it’s completely passive, it’s the focus of many big bloggers. However, it’s a slooooooooowwwww burn and full of heavy competition, so be prepared to wait a while until you show up on the first page of searches. It is important that I make sure all of my posts are optimized for search engines by using the Yoast SEO plugin and SEMRush to search for high-quality keywords. 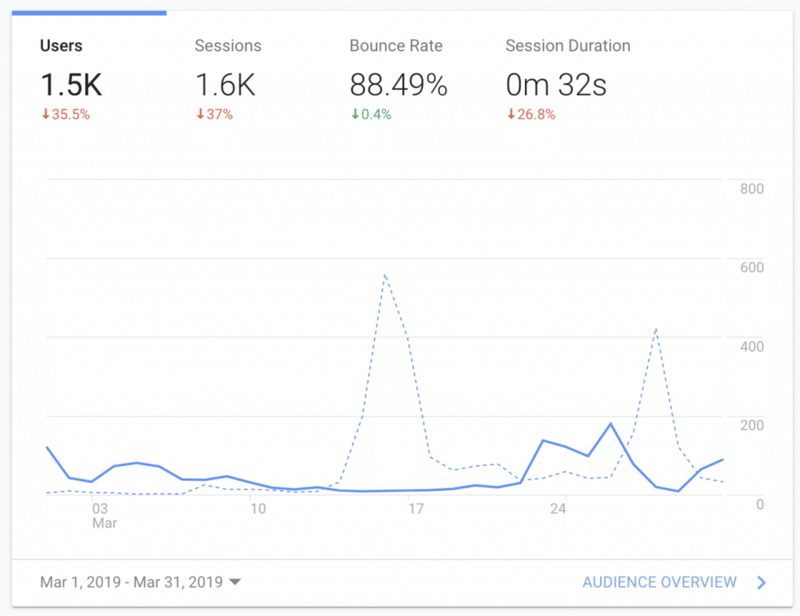 In fact, last month I did a massive keyword research sesh, which I learned how to do from Brandon Gaille’s Blog Millionaire course. Even though I haven’t seen these results yet, it helped me develop my editorial calendar for the next few years. 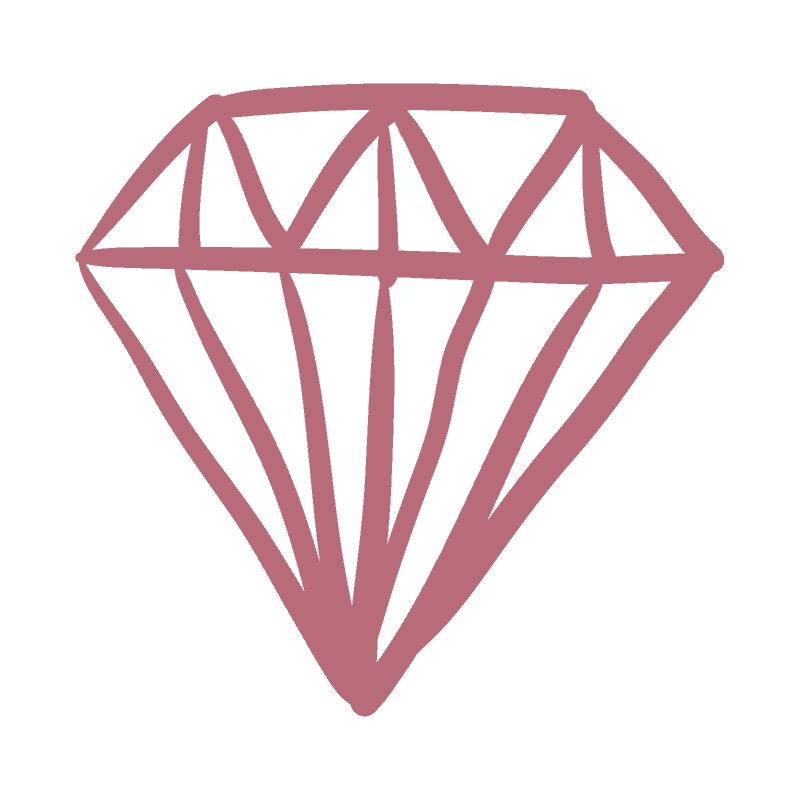 Keyword research is about finding the “hidden gem” keywords that get a high volume of searches but have low competition… the perfect formula for Google traffic. Brandon is pretty much a genius and I deeply trust his advice… so I can’t wait to see the results. Now, let’s talk about how I made all that money last month. You see, affiliate marketing and sponsored posts are the most profitable way to monetize a blog, but I haven’t fully mastered it yet. Most of my money comes directly from placing ads on my website and driving traffic to it. I monetize HolleewoodHair with Mediavine, which is BY FAR the best ad network around. The support team behind Mediavine is incredible, and they do a lot to help everyone in their program succeed. 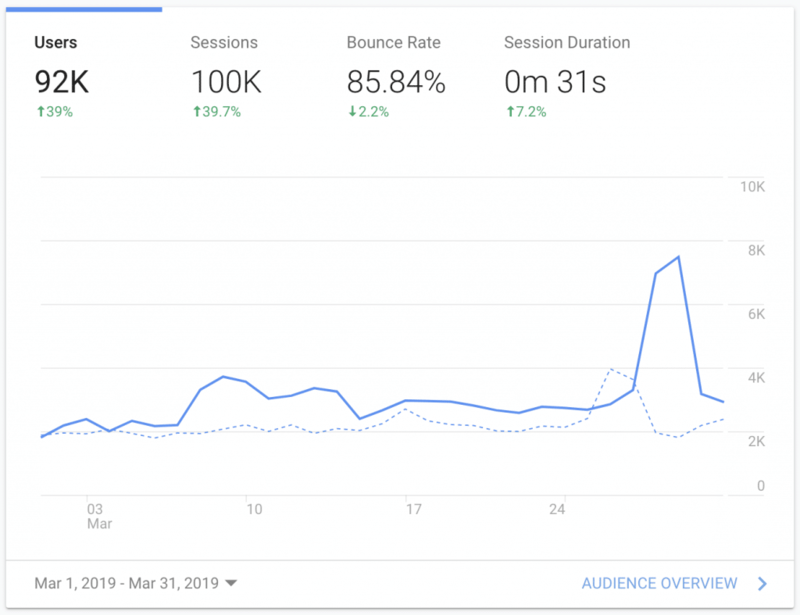 When I first switched to Mediavine last May, I was pretty terrified that I would lose the $300-400 per month I was averaging with Google Adsense. However, in my first month with Mediavine, I doubled that number, and now I’m making $1,000-$2,000 per month. I put a lot of effort into maximizing the amount of money I make from the ads, which Mediavine helps their people do. Things like increasing the font size and line height and shortening the sidebar make a huge difference in your RPM. If you want to run ads, it’s the only way to go. The only catch is that you have to be getting at least 25,000 monthly sessions before you can apply, which is why I don’t run Mediavine on TheBestDayEver yet. I did, however, make $4.88 on TheBestDayEver, with Google Adsense (which I can’t cash out until I hit the $100 threshold). Like I stated before, I haven’t quite succeeded at affiliate marketing yet, but have been slowly improving from month to month. I make the most affiliate money from Amazon’s affiliate program. I’ve been putting some focus into creating “niche posts” like The Top 5 Heat Protectants for Flat Ironing hair and also placing native Amazon ads in some of my posts. The native ads don’t seem to get as many clicks as the targeted posts so I may end up taking them out to improve user experience. I also just got word from Amazon that I can pin affiliate links directly to Pinterest (with the use of my own images), so I’ll be testing this in the next few months. Last month, I made $34.97 from HolleewoodHair’s Amazon affiliate links. I also made $5.00 from referring one person to Ibotta, through my How To Get Free Makeup From Sephora post on HolleewoodHair. Last, but not least, I referred one person to purchase the AMAZING GeneratePress pro theme from TheBestDayEver, which landed me $17.48. 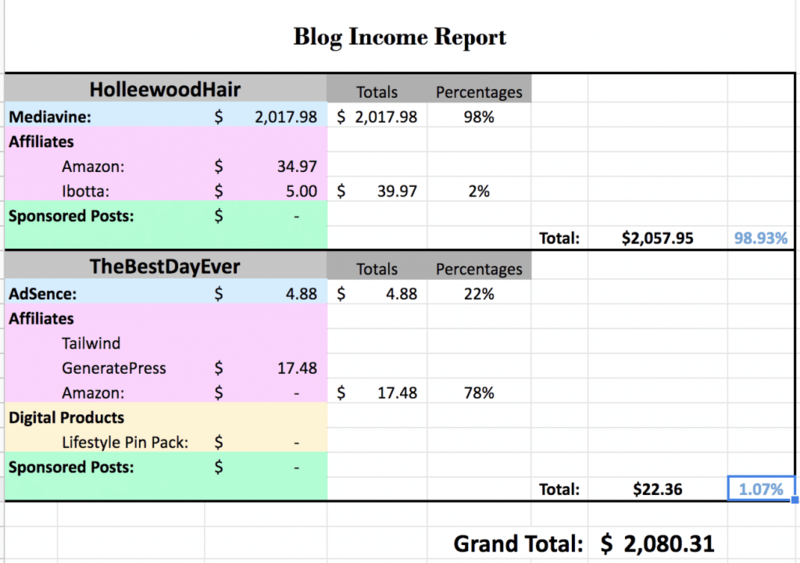 Here’s some actual footage of the fancy spreadsheet I use to keep track of my blog income. Even though I made over $2,000 last month, it wasn’t my net profit. Running a business always comes with overhead costs. A lot of these expenses are billed annually, but I’ve broken them down on a monthly level and split some costs between both blogs. After subtracting 30% for tax ($624.09) and all expenses, I’m left with a profit of 1023.73. To be fair, the profit would be more significant if I wasn’t putting money back into growing my new blog. But since my new blog is important to me, and I feel like it will pay off in the long run, the money spent is worth it. Last month, I had some pretty good days with larger surges of traffic from Pinterest. For TheBestDayEver, I started playing around with manual pinning and also scheduling several pins per day via Tailwind to see what worked better. I really haven’t come to a conclusion yet and will continue testing, but it seems like the manual pinning is winning so far. For HolleewoodHair, I started spacing out the new pins to every 2-3 days vs. every day, and it seems to be helping. BUT I can’t really decipher if my success is stemming from that or if I’ve just been getting more momentum. I’ve also been making a lot of new pins using templates that have been proven to do well for me. Pretty much every pin I make with these templates gets a lot of click-throughs, which means more traffic and money. The other new thing I’ve been doing is working more on my Instagram feed, which has been driving some new traffic to my blogs. I’ve been using Gramista to grow my following and Tailwind to help choose what hashtags to use and when to post. Although I’d like to put more into my Instagram, I’m so strapped for time and can only make time for 2-3 posts per week. I figure that any movement forward is better than none. I’ve been desperately trying to make time to map out a solid social media strategy for the past few weeks, but just haven’t had the time. I know it’s important and something I need to do, but it’s still on the back-burner. I’ve also been having a hard time staying on track and keeping organized. I’ll start to work on something and then want to start working on something else soon after. I feel like there are a million things I need to do and not enough time to do them. Last, but not least, my affiliate strategy hasn’t been as successful as I’d like it to be. I’ve been experimenting with some ideas for Amazon affiliate links that seem to be driving my earnings up… but other things like adding native ads in my posts haven’t been bringing the people in. As I was just saying, I have so many things I need to do. I have the opposite problem as most bloggers. You see, people tend to have a hard time coming up with ideas for new content. However, I have tons and tons of ideas for blog posts, ebooks, courses, opt-ins, etc. that it overwhelms me. Sometimes, I don’t even know where to start. Since I recently started going through the Elite Blog Academy, I am trying to just stay on track and follow that process, as it has been proven to work many times over. I’ve also decided that since HolleewoodHair is further along in the process, I’m going to shift my focus back there since it’ll be easier to monetize in a shorter amount of time. TheBestDayEver will continue moving forward, but there will be some big pushes with HolleewoodHair. I’m super excited to see what the future brings for both blogs. Whether you’re just starting out, or further along in the blogging process, I have a resource that will help you out. 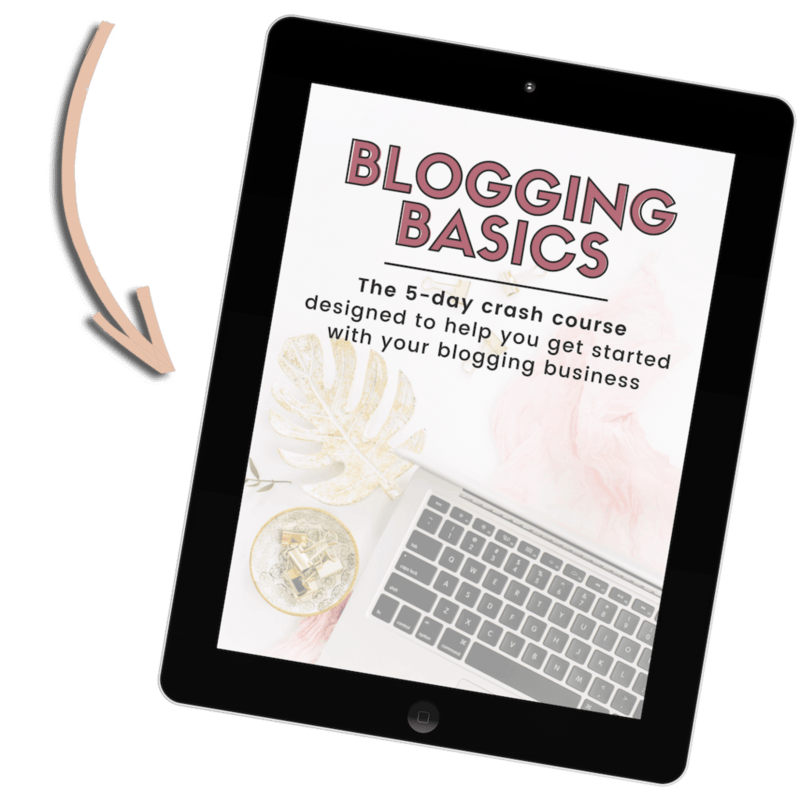 I’ve specifically designed a 5-day e-mail crash course to help bloggers of all stages figure out how to move forward. Even though I’m not where I want to be on my blogging journey yet, I’ve been making great strides towards my goals. I had the highest traffic numbers and income last month that I’ve ever had, and I couldn’t be more excited. This month might be a bit less since ads pay less at the beginning of the quarter. 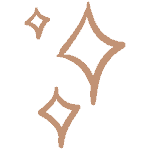 I also recently changed my URL structure on HolleewoodHair which can result in a temporary traffic drop. Even if my income is less, I know that I’m moving forward at a great pace and that blogging isn’t a straight line to success. Some months are good and some are bad; that’s just how it is. I just can’t wait to see what’s in store for the future. Oh wow! I’m so impressed at your achievements. I love reading income reports like this because they motivate me to keep going even when I haven’t achieved the blogging goals I set yet. Go girl! 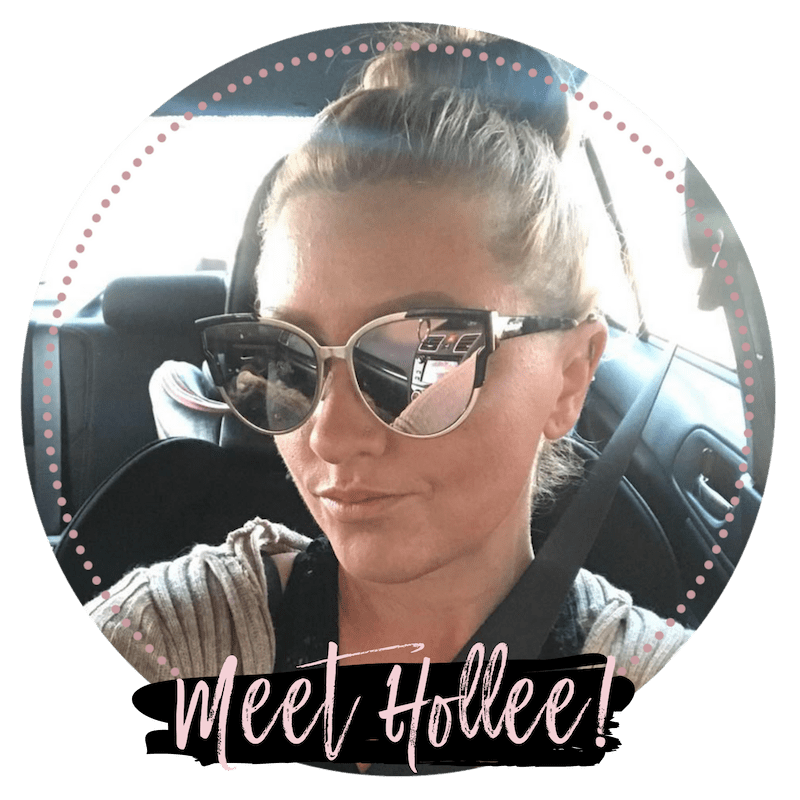 I'm Hollee, and I'm here to help you live your life to the fullest. With my exclusive blog tips, marketing strategies, and fabulous resources, you can take your blog to the next level and start making money from home today. Sign up now for FREE access to the ultimate blogging crash course and learn how you can start a profitable blog today!